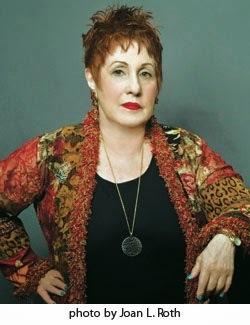 Phyllis Chesler is the author of many books, including her new memoir, An American Bride in Kabul, which recounts the story of her marriage to a man from Afghanistan in the early 1960s. 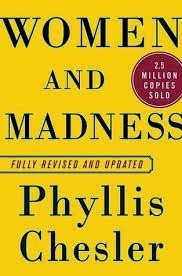 A leading feminist writer, her other books include Women and Madness, Woman's Inhumanity to Woman, and Mothers on Trial. She is an emerita professor of psychology and women's studies at the City University of New York, and she lives in New York City. Q: Why did you decide to write about your experiences in Afghanistan? A: The historical moment compelled me to do so. Afghanistan and its people seem to have followed me into the future and right into the West. Islamic hijab, headscarves, which I do not oppose, niqab (face masks) and burqas (sensory deprivation isolation chambers), which I do oppose, are here in America, on the streets and in the headlines. Afghanistan has landed in the West and the West is still deployed in Afghanistan. Eerily, the country in which I was once held captive is the very country which sheltered Bin Laden as he plotted 9/11. Today, the entire civilian world is being held hostage by Al-Qaeda and Al-Qaeda-like Jihadists. Also, as the lives of women in countries like Afghanistan and Pakistan turned surreal, terrifying, and I felt obligated to use my five month experience of purdah and life in a harem as way to depict suffering that is far greater than my own—as well as the extraordinary heroism that exists among anti-Islamist/anti-Sharia-ist Muslim and ex-Muslim feminists and dissidents. Q: You write of your first husband, "Abdul-Kareem turned out to be one of my muses, as did Afghanistan itself." What impact did he have on your life, and how have the two of you managed to remain in touch for so many years? A: Grand adventures are usually very costly. Illness, drug addiction, kidnapping, death are often the prices paid by Western travelers to the Wild East. I nearly died in Kabul. But I also learned invaluable lessons which I share in this book. 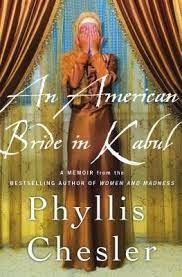 I ultimately realized that my very American feminism was probably forged in Kabul. I had lived gender apartheid long before the Taliban came to power, I know what it is and I oppose it. I do not believe that polygamy, forced child marriage, arranged marriage, second cousin marriage, the Islamic Veil, female genital mutilation, lashing and stoning for alleged adultery, are compatible with universal human rights today. Among my most valuable lessons, I learned that America is not the worst country in the world—but the best, a land of free libraries, where a woman can leave her home at will, obtain an education, have a career, and marry someone of her choosing, without risking being honor killed. I would never have known this so surely had I not once lived in posh captivity in Kabul. Abdul-Kareem and I reconnected after he fled the Soviet invasion. As a Jew and an American, it is traditional to welcome those in exile, both from their country and from their dreams. And so I did. Our connection has been cautious, tender, formal, and always included his second wife and their two young children who are now in their forties. I think we both valued our more than fifty-year relationship. Abdul-Kareem (not his real name) put up with my feminism, I put up with his misogyny. He suffered my independence and accomplishment, I suffered his monologues and increasing interrogations of my politics. But no matter what, I always remained the “first wife.” I came to understand and respect a very Afghan or Eastern sense of family. As I’ve written, we remain connected in unspoken ways. The last time we actually talked to each other was a few months before this book came out, when I called him to tell him about it. He did not ask to read it. I have not heard from him since. I have written about my Afghan Adventure before, but only briefly. He never once mentioned this writing. But, from time to time, he would suddenly start to argue with me about a detail or two, questioning my accuracy or memory. This told me that he had read every line, [but] could not bring himself to actually acknowledge that the runaway wife had gone on to write books. Please see the conversation that I’ve memorialized in An American Bride on pp. 217-218. Abdul-Kareem seemingly holds the view that the greatest accomplishment a wife can ever hope for is to help her husband realize his dreams. He cannot bring himself to say anything positive about my chosen passions and accomplishments. While there are so many exceptions, this is also so very Afghan male of him. Q: Can you explain more about the effect of your time in Afghanistan on your feminist beliefs? A: I was writing the word “patriarchal” in the diary that I began in 1961 while in purdah. As I’ve indicated above, I understood the dangers that women in Muslim-majority countries faced merely for having been born female. That, in itself, was often a capital crime. Women’s lives were little valued—and abused women sometimes abused other women, such as a daughter or daughter-in-law. I suffered under the cruelty of my mother-in-law and was graced by the kindness of my two sisters-in-law. Thus, I understood, early on, that women are not necessarily innately or universally compassionate to each other. 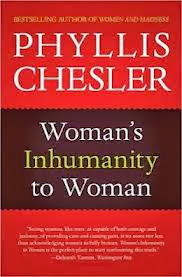 Eventually, I published a book on this subject, Woman’s Inhumanity to Woman, which was the first of its kind. Q: As you looked back on your time in Afghanistan, did anything particularly surprise you in retrospect? A: Even as I was writing this book, I underestimated what it meant for me to have had my American passport taken away from me. My wise editor urged me to explore this a bit more and so I have. Most foreign wives have their Western passports removed and we then become the citizens of no country and the property of our husband’s family. Also, I am surprised by how hard it was for me to express anger (in the book and in life) towards a man who had deceived me, never told me that his father had three wives and twenty one children, that I would be expected to live with my mother-in-law and that I’d be pressured to convert to Islam. His behavior nearly resulted in my death and permanently weakened my immune system. I have often been criticized for ever talking to him again. But he was my first love…really, had he not loved me and deceived me—how could I ever have written this book? Had I not gone there, how could I now explain certain things at this precise moment in history? A: In addition to doing interviews and lecturing about the issues I raise in this book, I am working on a fourth study about honor killing. My first three studies were published in Middle East Quarterly and are available on their website and on mine as well. I have just been appointed a Fellow at the Middle East Forum. I have submitted affidavits to judges in cases where girls and women are seeking asylum and are in flight from being honor killed by their families. I have not yet begun to dream about my next book. A: Yes, I had originally wanted to fold my story into the long forgotten stories of the most fabulous female adventurers who visited harems in the 18th and 19th centuries; who climbed perilous mountains and rode into dangerous deserts on horses or camels and I manage to tell some of their stories as well. British-born Rosita Forbes was once very popular but is now out of print. I would dearly love to introduce her various travel Memoirs and bring her back into print. Yes, she also visited Afghanistan.